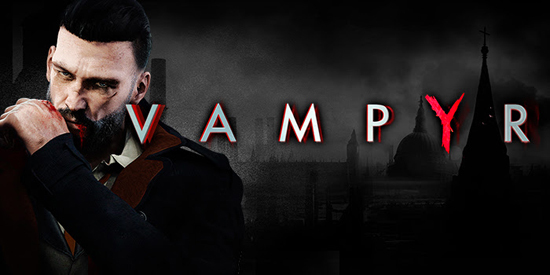 Vampyr narrative-driven action-RPG set in 1918 London, announces a content update coming later this summer on PS4, Xbox One, and PC. This will include two new game difficulty modes which add further replayability for existing players and more options for those who haven’t yet sunk their teeth into this dark adventure. As well as bringing a host of optimization tweaks, the upcoming update will introduce a ‘Story’ mode that de-emphasizes combat and a cranked-up, more challenging Hard mode. The Story mode places a greater focus on narrative, allowing players to experience Dr. Reid’s journey with less challenging combat. On the other end of the scale, Hard mode makes combat much more difficult. Players will receive less experience from killing enemies too, forcing them to rely even more on embracing citizens to grow in power. In advance of the update Vampyr has a 25% discount on Steam, available now! Prowl the disease ridden streets in Vampyr - a darkly atmospheric action RPG from the studio behind ‘Remember Me’ and ‘Life is Strange’, developed using Unreal Engine 4. Set in early 20th century Britain during a bout of the lethal Spanish flu, the streets of London are crippled by disease, violence and fear. In a completely disorganized and ghostly city, those who are either fools, desperate, or unlucky enough to walk the streets lay prey to Britain’s most elusive predators: the Vampires. Emerging from the chaos, a tormented figure awakes; as the player it is you who determines how to harness your new powers, by specializing in deadly, versatile RPG skill-trees that change the way you play. As a doctor recently turned into a Vampire, you try to understand your new affliction. Your quest of intuition, discoveries and struggles, will be filled with death and drama, while your attempt to stem the irrepressible thirst that constantly drives you to take human lives. As you cling to what remains of your humanity, your decisions will ultimately shape the fate of your hero while searching for answers in the coughing, foggy aftermath of the Spanish Flu. Explore a darkly atmospheric early 20th century London. Play a tormented and powerful Vampire learning the rules of your new condition. A man of science, a beast of the night: Your toughest battles will be within yourself. Build your own combat style through a wide range of crafted weapons and powerful Vampire abilities to defeat a large and unique bestiary. Choose your fate: moral choices will shape your story. How human could a Vampire be, when he must feed?